Tim and I had a wonderful time celebrating Christmas this year! Twinner was in town for 4 days (not long enough in my opinion) but we still managed to stop by The Pearl Cup for dirty chai's, visit our friends at We Are 1976, see 127 Hours, get our thrift on at Lula B's, and stuff our boca's with Cecina at Veracruz Cafe. We also had lots of good late night conversations, restful afternoons, and slow mornings. It was perfect. One thing my family has always been good at is gift giving. Often times our gifts are homemade, found at flea markets, or even flawed (like the year my Papa gave me a shiny 1930's Big Ben clock that he couldn't get to work). Regardless, they always have meaning. That's why when my buddy Juder gave me an apple seed stuck inside a monogrammed pouch, my heart melted. Pretty sure I'm crushing this 5 year old BIG TIME. Overall, my favorite gift this year had to be from Twinner. 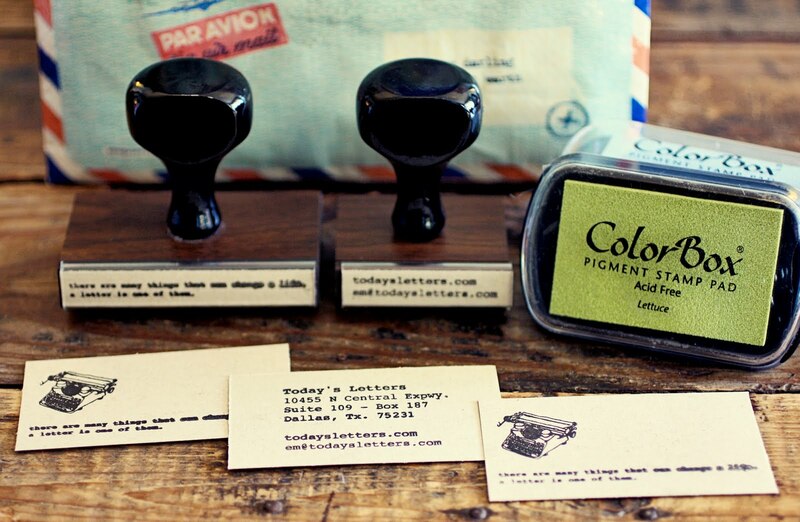 She had two stamps made, one with a typewriter & our blog slogan, the other with our address, website, and email address. She even included a set of business cards that she made, as well as 4 different colors of ink pads. Can you say FREAKIN AWESOME?? 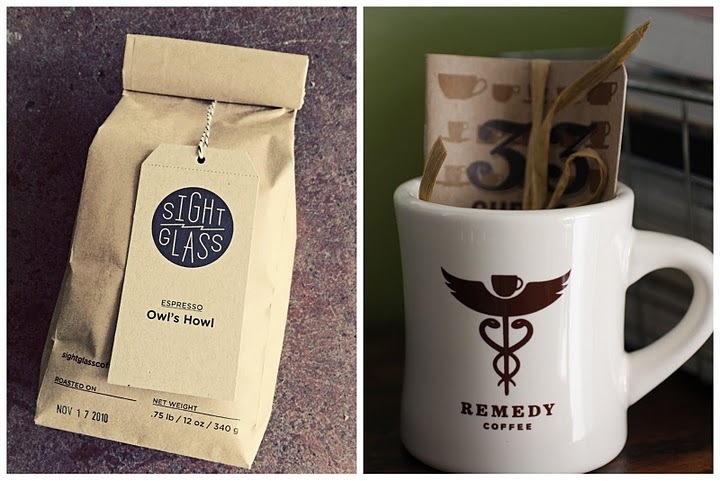 One of Tim's favorite gifts was a pound of espresso from Sight Glass and a mug with a coffee journal from Remedy. (Insert Husband's happy place here). Another one of my favorite gifts was this book from Naomi & Josh over at Rockstar Diaries. It's all about photography and I can't wait to get lost in it while curled up on the couch in my jammers. 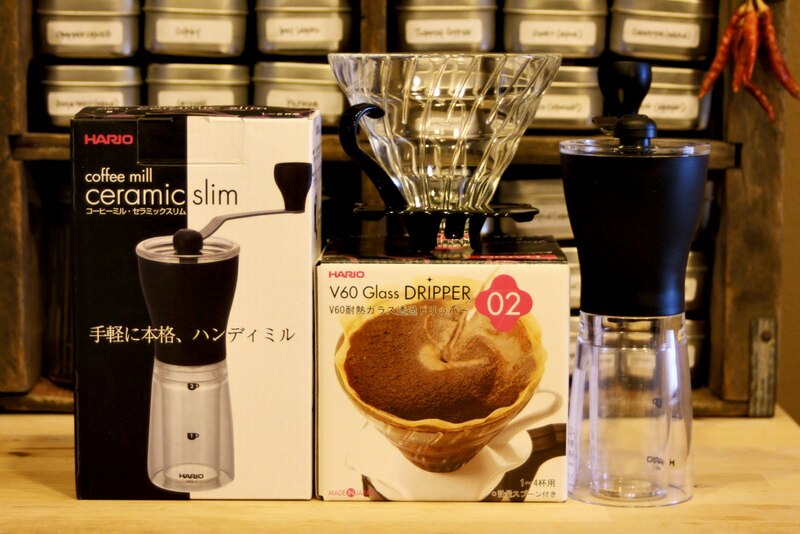 In sticking with Tim's love for all things coffee, his favorite gift this year was the Hario V60 Dripper and coffee mill he received from Twinner. If you haven't heard, these drippers are all the rage in 3rd wave coffee. The Hario has a larger drip hole than a Melitta and is known to produce an even better extraction than a french press. BAM! This made Mr. Loerke's morning coffee experience rock the hizzy. 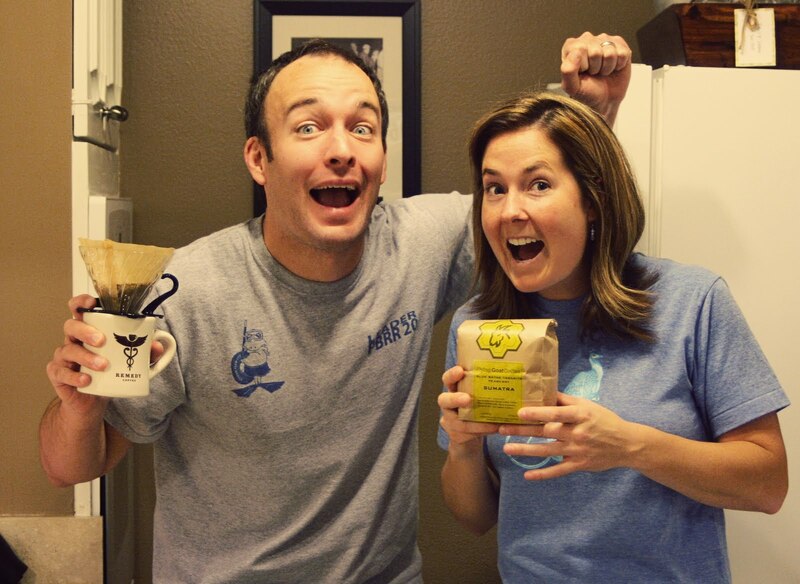 Lastly, one of our favorite gifts arrived from our dear friends in Cali, Michelle & Chad over at Funk Off! Pretty sure they had us at homemade sugar cookies and gnomes. Be still my heart! This year I gave Twinner this t-shirt, an old Kodak pitcher I found at my favorite thrift store in Kansas City, and a homemade ornament for her soon-to-be dog, Mailbox. Tim received 2 books from me; this one and this one, along with a Left Hand Milk Stout glass for his favorite beer. Tim gave me date night coupons, a wallet for my monies, and a new journal since our other one is almost filled! I love how gifts don't have to be expensive to express how much you know or love someone. What was one of your favorite gifts? We'd love to hear about it! Also, Tim and I will be celebrating the Mr's birthday at a cabin in Broken Bow, OK for a couple of days. We'll check back soon with photos of our time there! One of my favorite gifts was a Better Homes and Gardens cookbook and oven mitt from my soon-to-be mother-in-law. This would seem catty in any other person's situation but she knows I love to cook so it was perfect! And well my favorite gift was getting engaged on December 10!! Oh and Happy Dirty 30, Tim!! i got an adorably kitschy throw-pillow from husby's grandmother. it's a delicious bright orange color and reads "a morning without coffee is like sleep"! like you said, the smallest most personal gifts mean the most. best part is it has a picture of a vintage silver percolator on it just like my own! An absolutely ginormous pressure cooker from my beloved - just what I said I wished for when you all asked a couple months ago. And three entire days in a row where said beloved didn't have to go work cooking for other people. COFFEE Journal? Good grief, sign me up!! I'm going to have journals coming out my ears this year, but what's one more? Favorite gift was our booked tickets for Ireland. Gonna meet my heritage head on! My hubby got me a new tea pot, a jewelry tree (which I wanted BADLY but hadn't mentioned, how good is he?) and some GLORIOUS bath cream for my bday which is Christmas Eve. For Christmas we got each other a ginormous (compared to our old one at least) new flatscreen TV for Christmas. Fun fun fun. I ♥♥♥ the apple seed!!! Fist pumps for Broken Bow! I grew up there and my parents still live there. Be sure to visit Abendigos for some yummy dinner and snap a pic of the old End of the Trail motel neon sign. It is classic ;) Happy Birthday! Love me some Broken Bow. Haven't been there in a few years, but last time I went was with my CR group, and we had a blast. We roughed it, but those cabins looked great. enjoy the cabin at broken bow....we've stayed there with the fam and it's the best.....rob and i read father fiction aloud to one another and just when we thought donald miller had poured his whole self into all his other books, it appears he's saved the best for this one! Merry Christmas guys! And Happy Birthday, Tim! 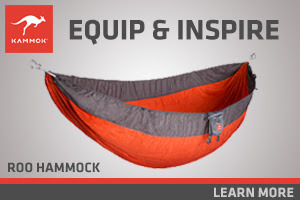 Hey, Em, awesome books for your man! Thanks for the links ;-) Have fun birthday fort-building! Favorite gift was from my Mister...a poster-sized photo of our beautiful son, Ajay Zane! It's his first Christmas and, sort of sad, but it's our first printed photo of him since his birth (he just turned 9 months old!!!) Arg...I gotta get moving on ordering all of the faves before he's 30! One of my favorite gifts was a dehydrator from my mom. Since the hubby-face and I have started trying to eat healthier, she expressed her support by getting us something we couldn't afford to get ourselves. Now all we need to save up for is a juicer!! Moms rock. Oh, Beavers Bend!! We stayed at the Coyote Ridge cabin Christmas 2009, awesome!! You have to make a trip to the park around dusk, we saw at least 20 deer, they are everywhere. Some are so tame, you can drive right next to them and they stay and keep eating grass. Too the Stephens Gap Restaurant in between Broken Bow and Hochatown is really really yummy!! I got a wallet for my monies for christmas from my practical-minded man too! mine also happened to be pair with slipper boots that feel like kitten. lovessss. I love the new layout - it's super cool!!! My Aunt-in-law got me a super cute pin cushion with a mouse made of pipe cleaners and a cool bag with smiley flowers on it. It does up like a drawstring bag but I'm going to play with the rope and make it into a tote of sorts. 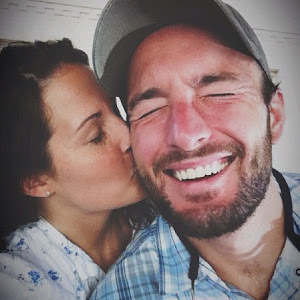 So I have been told from several friends (and some from Taylor) that I should follow this blog because you both remind our friends of my husband and myself! So here I am ... your newest follower!!!! A beautiful ornament that my fiance purchased in Paris (without me knowing) when we got engaged. I teared up when I opened the box on Christmas morn---so sweet and thoughtful for him to think ahead! (We were there in May!). I found these beautiful frames for all 3 of my sibs and my parents---and framed the last family picture we had taken before our Aunt (who was like our mom) passed away in June. Even my big ol' brother remarked on how much it meant to him. 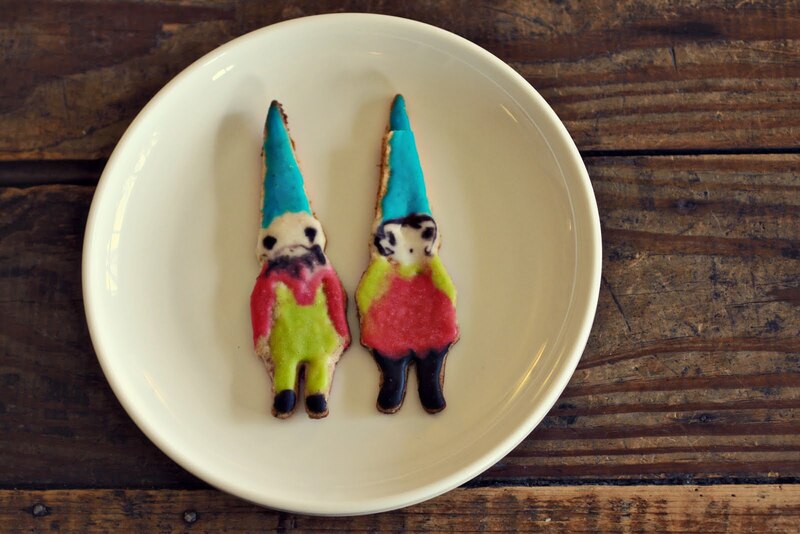 Um, my roommate would LOVELOVELOVE gnome cookies. What a great idea! The best gift I got was a framed shadow box of my marathon medal, bib, photo, etc. I danced around the living room with it, but even BETTER was the gift I gave my heart twinner. (No shared DNA, just shared EVERYTHING else) We call each other Seekrit Bee, so when I saw the bee bag I knew what I was getting her. She opened it, looked at me, and told me I won at Christmas. And then, naturally, we went on a run to look at Christmas lights. 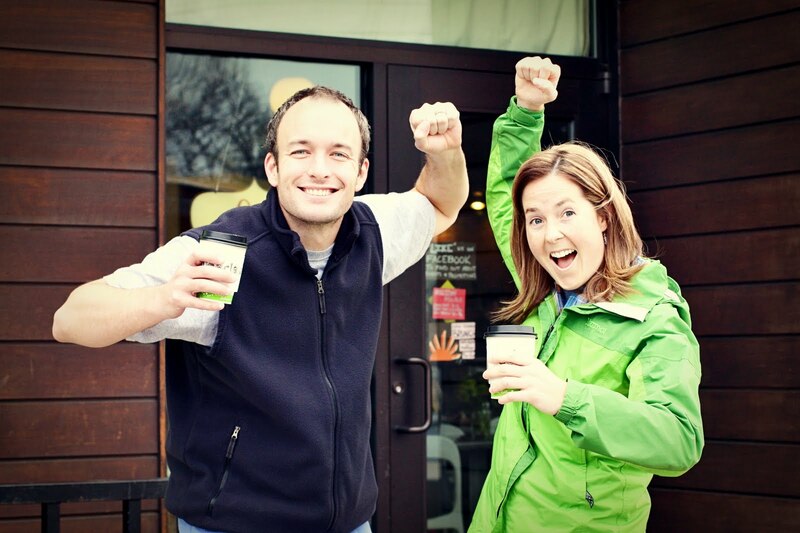 Shimmies and fist pumps for helping me win at making SB smile. 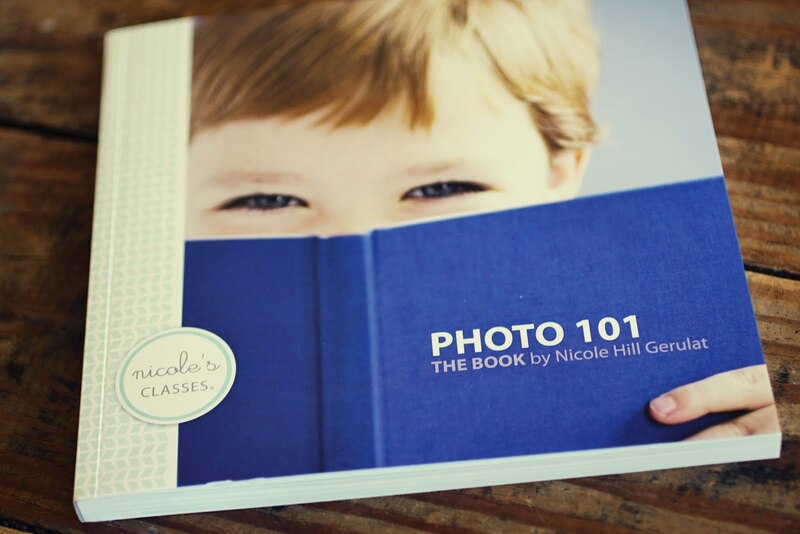 My husband put my entire blog in book form which I have been wanting to do for years. A gift I'll treasure for years.